Look at me! 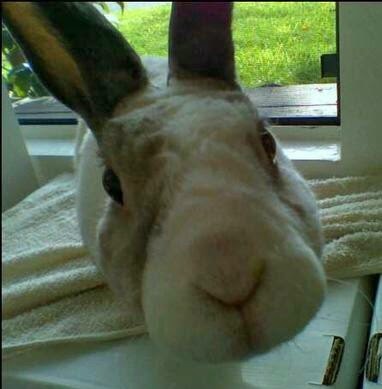 Why are you late with my nutriberries again? You're doing the rest of your weekend in the dandelion field. Oh my .. that mix of bunny-breed must be the softest bundle of mischief ever! Better scrabble up a LOT of dandelions. But, Tyler, I want to stay here all day and nuzzle with this facsimile of you. How can you be so cute? "Now, scuttle, hoomin! Scuttle off and bring me my nutriberries! Bounce! Ah! No! No! Don't start speaking! Scram! Hoomins should be Disapproved Of, not heard! Now! Now I've got rid of that hoomin, I can get back to recording the demo of my new song! Mic on! Tape rolling! Hit it! PS. This M*nd*y is sucking like few things have sucked before. Ok, slight exaggeration, but I am in a bad mood today. This is one well-snouted bun, I tell you what!